See Also: Lift Here Label and Do Not Forklift Here Label. Use a No Forklift Label to prevent the mishandling of pallets. The bright green fluorescent color really stands out to attract attention. 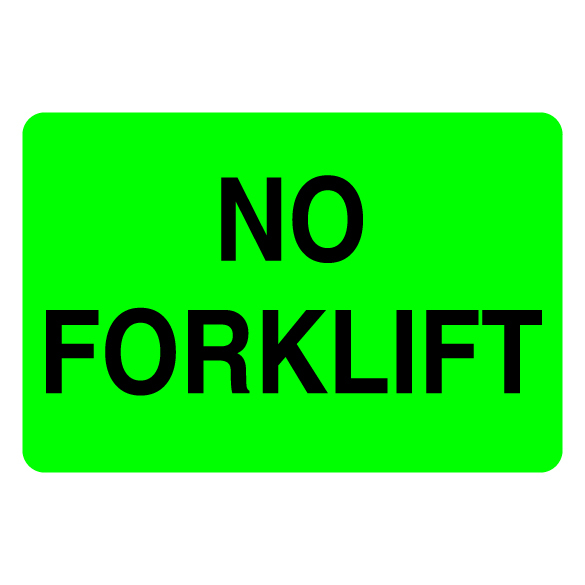 No Forklift Labels are great to use in warehouses, during freighting, or on other boxes when a forklift cannot be used.